CRS4 is a interdisciplinary research center, founded by the Sardinia Autonomous Region on 1990, whose sole shareholder is the regional agency Sardegna Ricerche. The center promotes the study, development and application of innovative solutions to problems stemming from natural, social and industrial environments. Information Society and Technology and High Performance Computing are the supporting foundations. 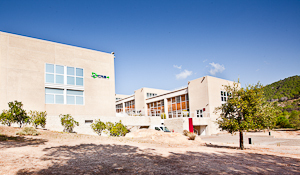 Since 2003, the center is located within Science and Technology Park (Polaris), a point of attraction for high-tech research in the Comune of Pula, about 40 km from Cagliari. CRS4, initially headed by the Nobel Prize in Physics Carlo Rubbia (1990 to 1999), has had the following Presidents: Nicola Cabibbo (2000 to 2003), Carlo Rubbia (2003 to 2006), Paolo Zanella (2006 to 2014), Luigi Filippini (2014 to 2017), Annalisa Bonfiglio (2017 to present). Today about 150 people are working at CRS4. The mission is to help Sardinia to build and support a layer of modern high tech industries considered essential to its economic and cultural development. CRS4’s efforts in technological development and scientific research focus on state-of-the-art computational technologies and on their application to several areas: biosciences, information society, energy and environment. These sectors have a great socio-economic impact in terms of market share and citizen expectations and are characterized by a growing demand for high-tech products, services and procedures. The main purposes of CRS4 are interdisciplinary studies, development and application of innovative solutions for priority thematic fields. Therefore, CRS4 collaborates with industry, universities and scientific laboratories and also participates in relevant national and international projects.